View from east with the city centre in the background. 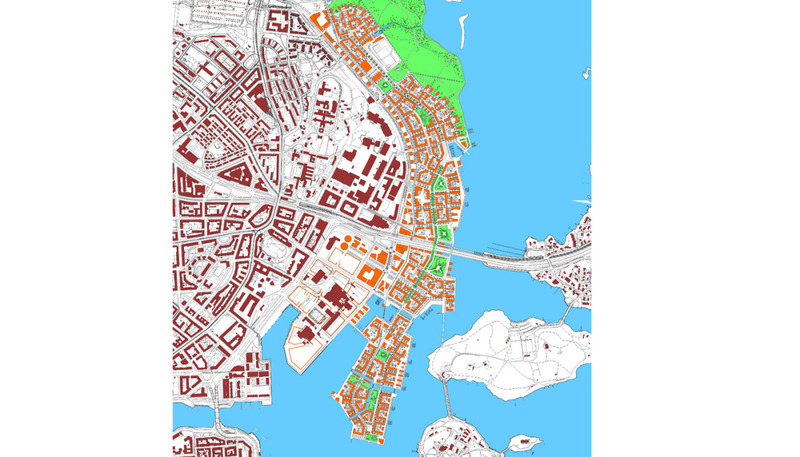 In October 2004 Tovatt Architects & Planners was asked to partake in an invited competition for the masterplanning of a major site situated directly to the north of the historic city centre of Helsinki. The site is presently used as docks that are soon to be moved further out from the city centre, thus releasing a large and valuable land area with close contact to the city centre and the nature surrounding the city. 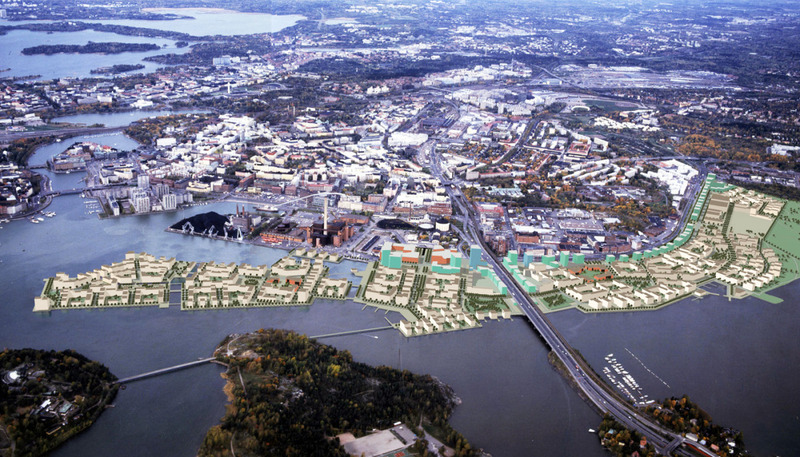 A complexity to the project was the integration of a major combined power and local heat plant serving Helsinki and a major road bridge combined with a new railway station linking the city to the east of Helsinki. The approach was to integrate the site into the city, while developing an urban landscape and a transport plan which could provide identity and clarity for the future inhabitants. The proposal was based around a linear progression, which changes in character along its axis. Five individual districts of development are proposed along the length of this axis. The canals are used to provide the area with individual character and reflect the location of the historic harbour, once proudly framing the centre of Helsinki. Project type: Invited competition, masterplan proposal. 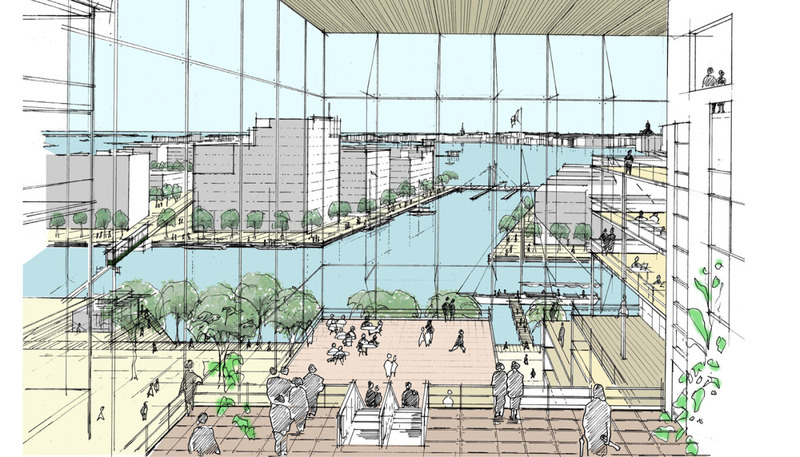 Masterplan concept for transforming a harbor area into an extension of the city centre. The water and harbour is used in shaping the identity of the new development.